I've always thought I was a pretty decent, healthy, semi-granola-y mama, but I'm finding myself stumped lately. I have a 3 year old and can't seem to think beyond the old peanut butter and jelly for lunch. in the car. Most of my healthy snack ideas just aren't portable. Ideas??? As well, here's a link to an early blog post I wrote on feeding kids easy and healtyh lunches, with quite a few of the ideas I mentioned in more detail (including how I make my fried rice and sweet potato chips, among others). Alright ladies, I'm sure you have tons of other wonderful ideas to contribute and we want to hear them all! Please share your quick and easy toddler lunches and portable snacks for little ones with us! Healthy Back-to-School Lunches Made Easy! Previous Post: « Sprouts -The easiest greens you’ll ever grow! During cooler months I usually make a large pot of soup for dinner one night and then use the leftovers fr lunches for our daughter and myself. I usually drain her soup to make it a lot less messy. My Son loved Yo and Fru (Yogurt and Fruit). I make a thick drained yogurt for him. My girls like graham crackers and yogurt for lunch…or crackers and peanut and jelly. Snacks in the car…cheerios or some healthy cereal in a baggie. Lets see, my kids are now older but I had to make all my own stuff when they were smaller due to food allergies (now they take food enzymes and can eat a lot more but not everything–mostly Trader Joes brand is all right). I just wrote a REALLY long comment here and decided it would be better to post it to my website and send you there. It is geared more towards kids with food allergies because mine did. 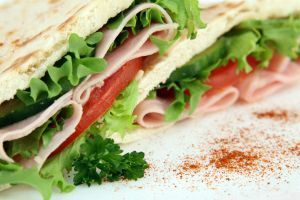 You can read it here: http://untraditionalhome.com/?p=1626–these also work well for people who are just trying to be healthy. Soemthing else cool that came of this: my kids, now ages 7, 9, 11 LOVE vegetables and healthy foods–they go nuts in the veggie aisle if I let them, like most kids do in the candy or cookie aisle, all because it was all they got growing up. Growing up my family worked out classic “road trip sandwiches” that were easy and mess-free, though a cooler is recommended. You take a tortilla, spread a thick layer of cream cheese on half of it, and then poke in various fillers. One of my favorites was craisins (sweetened dried cranberries) with cashews, others are raisins, any kind of dried fruit, and any kind of nuts. I don’t think it would work well with P&J, since hte filling could squish out, but cream cheese with some sort of dry filling holds nicely, tastes good, and fills you up. 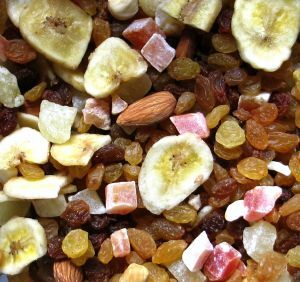 We make a lot of trail mixes in our house with whatever is leftover in the pantry- nuts, dried fruits, whole grain cereals, crackers, and if I am feeling generous a sprinkle of marshmallows or chocolate chips 🙂 It is a great way to clear all the boxes of a shake of this or that out of the pantry. We also make homemade granola bars, muffins, and cheese sticks with crackers for snacks. Celery with peanut butter and raisins in it are one of my kids’ favorites. We also like to cut up ham into “sticks” and take them along for a snack – today we took ham sticks, carrot sticks and home-made granola bars as an on-the-run snack. Hi Girls — Aside from apples (raw or stewed warm with melted pasture butter and cinnomon) we make popcorn a lot for snack – and not all popcorns are alike! The organic tastes best – – and we pop it over the stove with coconut oil: unrefined cold pressed. It gets messy in the car, but is easy to clean up. A great alterantive to proccessed crackers or cereals (like Cherrios). Also “baby burritos” are a big lunch hit lately with my 1 1/2 year old – and it helps her eat more beans and rice. She likes the little mini sized burrito to hold in her hands and bite. i cut up apples like potatoes and make them into baby french fry shapes and call them “apple fries” – he totally goes for it! For a no-spill, healthy drink I usually pack First Juice sippy cups for our trips. 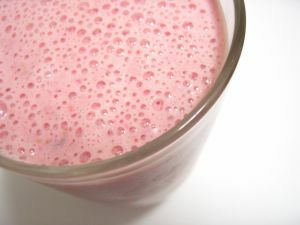 It’s an organic juice for kids that has 50% less sugar than 100% juice and it comes in no-mess, reusable sippy cups. Cheese Roll: Take a single flour tortila and sprinke shredded cheese on it. Microwave it for 30 seconds and roll it..perfect before the car and for lunches because it can be eaten later or immediately. I will also add black beans or some lunch meat sometimes for more protein. This same roll can be dome with Cream cheese or peanut butter. I will make grilled cheese(sometimes with a slice of meat) or an PBJ sandwhich and then cut the sandwhich in little mini bites(maybe 8-10 bited per sandwhich) the girls loves these as a lunch or car snack. Carrots and Ranch dressing…for some reason my girls love to eat carrots if they have ranch dressing to dip in..not for the car rides of course but still a good way to get veggies in them. Turkey Sausages: I buy Foster Farms Turkey breakfast sausages and cook them up. They girls will eat them cold and so they are perfect for car rides and/or lunches. Mini bagels with cream cheese are perfect for car rides. I either make small pancakes and freeze them for a grab and go snack or if I get lazy I will buy a package of the mini Frozen pancakes becasue they are perfect snacks in the car..sometimes I will spread peanut butter on them for extra protein. of course the cut up fruit or fresh blueberries and cheerios are good options. I like to have little cloth pouches that I fill with dried fruit and cereal in the car so they can easily snack on their treats. I know this is way late, but I am always making the liittle girl I nanny a peanut butter and banana wrap. Its her favorite, she tells me. You just spread peanut butter on a tortilla and wrap it around a banana. It actually stays together really well, and is minimally messy. I also think its better than pbj because the banana is the whole fruit with no sugar.